After contacting us Baden Cooke visited out store in Cheltenham. 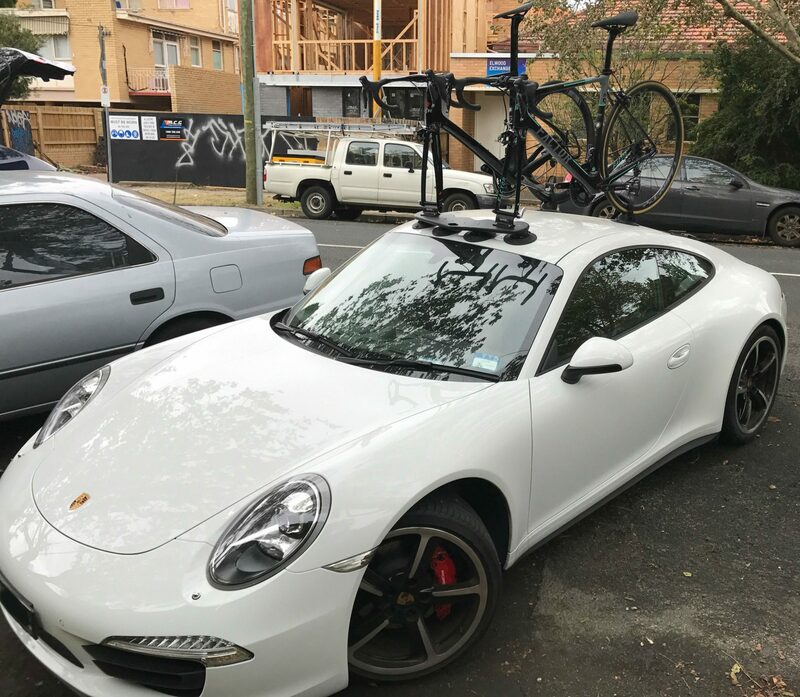 Looking for a bike rack that would compliment the Factor bikes and its clients Baden tested the SeaSucker Talon on a Jaguar F-Type before settling on a SeaSucker Mini Bomber to transport his bikes. We will feature the Jaguar F-Type in a future blog post. So why did Baden chose SeaSucker? 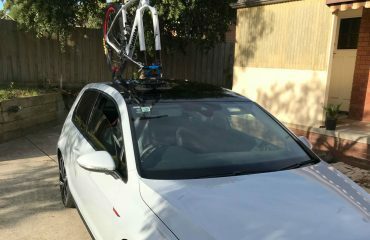 Because SeaSucker Bike Racks work with just about every car, can be installed in under 2 minutes and removed in seconds. 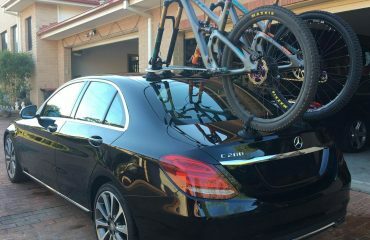 Most of Baden’s clients have high-end vehicles and fitting a permanent bike rack was not an option. SeaSucker Bike Racks can be installed on the roof, back window, front window or the rear hatch of an SUV, this flexibility is very appealing. Finally, SeaSucker Bike Racks represent a great value proposition. 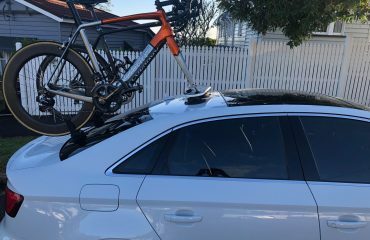 No more having to purchase a new bike rack every time you change cars and the fuel saved from not having a permanent bike rack means your investment in SeaSucker Bike Racks pays for itself in months. Thanks Baden for your support and sharing your experience. 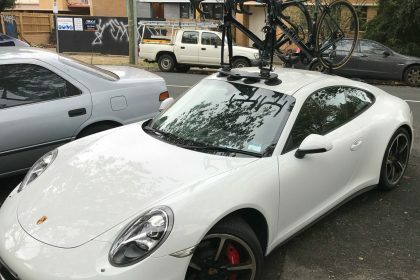 Looking for a bike rack for your Porsche Carrera 4S?